My first aid kit changes all the time. If I’m on a hike with friends it fits into a small zip-lock bag. If I’m teaching a river rescue course and moving around by kayak my kit is usually in a 10L drybag (not including another ‘hypo-wrap’ drybag with a tarp and insulation layers). Whereas on a remote, week-long rafting expedition with a group of 15 people, we carry a whole 30L mini barrel in one raft plus additional ‘first responder’ kits spread amongst the boats. 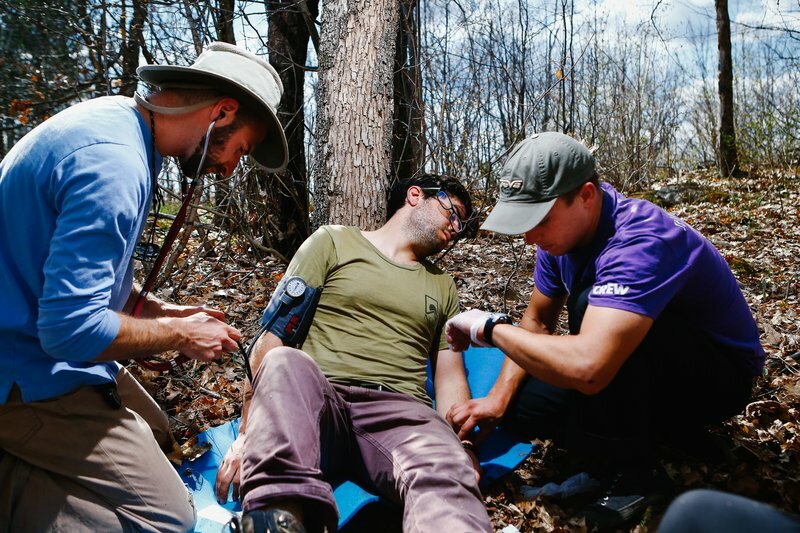 You should also look through each topic in your Wilderness First Aid / First Responder course textbooks. For each medical problem, consider which items or medications you wouldn’t want to do without versus what can be improvised. Over time, you’ll get more comfortable making adjustments. And it’s divided into sections for items to carry on your body, basic life support, tools, medications, wound care, and other miscellaneous items.